Married couples with different credit scores may want to rethink applying for a mortgage loan. If you are thinking about purchasing your dream home make sure you and your spouse’s credit scores are similarly on the high end. 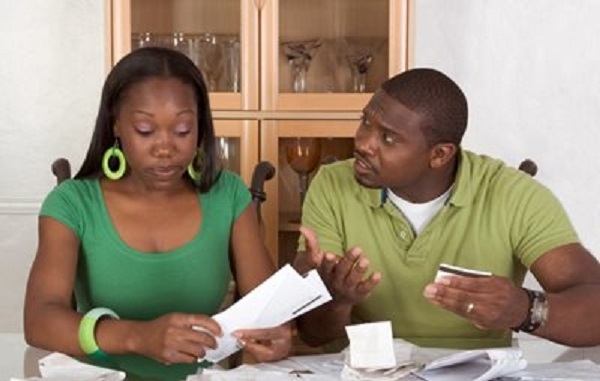 While it is true married couples do not have joint credit scores, your spouse’s poor credit habits and profile can negatively impact your good credit habits. Even if you do not have joint credit cards, when shopping for a mortgage loan, the game changes. Marriage does not mean your credit scores get combined; but, when you apply for a mortgage loan, the lender will take a close look at both your credit profiles and scores. What this means is that the lender will always use the lower score of the two credit scores. One spouse could have a credit score of 780 which is excellent. But if the other spouse has a credit score of 620, the lender will use the lower credit score. A credit score of 620 could still get approved for a mortgage loan but the interest rate and terms will not be as favorable. A score of 620 or lower places you in the subprime category, giving you the worst possible interest rates. A higher rate in interest translates into paying a higher mortgage note. For instance, let’s say you have a mortgage loan amount of $300,000. An excellent credit score of 780 could mean you get an interest rate of 4.625% on a 30-year fixed rate loan. However, a credit score of 620 might receive a 5.5% interest rate. That may not sound like a big difference but over the life of the loan you’ll pay $57,942 more in interest. Credit scores have a real impact on the money you pay and the money you can save. One solution could be the spouse with the higher credit score apply for the mortgage in their name only. But the financial burden will be solely on that person and only his or her income will be considered during the lending process. And, legally the spouse whose name is on the Deed of Trust will have the sole financial burden should default occur. If at all possible, it may be best if couples with different credit scores hold off on a purchase until credit issues are cleared up. It can be difficult especially if couples have looked at homes before they are approved for a loan. Weekend home shopping can be fun but make sure you are financially ready for the approval process before you shop. Undoubtedly you will see something you like and it can be heart-breaking to find out one spouse cannot qualify for a home loan. Before you find your dream home, pull your credit reports from Experian, Transunion and Equifax. You can order credit reports for free from Annualcreditreport.com. Carefully examine your reports for any mistakes, errors or inaccurate information. Dispute or pay for delete or even good-will negative information when you can. Once you work on clearing up negative information pull your credit scores. Unfortunately this is not free but the good news is you can purchase fairly accurate FICO credit scores from myfico.com for each credit bureau. The clearing up process can take as little as 45 days up to 12 months. It just depends how much negative information may be on your credit reports. However long credit repair takes, it’s worth the time. The lending process is hardly ever smooth; but having the best credit scores will at least ensure you have the best interest rates.